19 Sep Can You Recycle Rusted Metals? Maybe you have some old car components that have been sitting outside for a while? Perhaps you have old, worn-down fencing? In any case, you likely have a large heap of rusted-out scrap metal on your hands. Looking for some specifics on recycling rusted metal in Chicago? You’re in the right place. Read on for more information! Rust is the common name for a chemical compound known as iron oxide. This compound forms when iron reacts with water and oxygen, presenting itself as a rough, orange-red substance. In almost all cases, rust is a nuisance. Not only is it unsightly, it’s a hindrance to functionality as well. If you allow rust to exist on a metal object for a long enough period of time, it can start to eat through the object, slowly compromising its structural integrity. The good news, however, is rust can often be removed. Because it can be removed, rusted metal objects can usually still be recycled. Be warned, though — the more rust that eats away as a metal object, the less that object is going to weigh, and the less money you’ll be able to get for recycling it. The fact of the matter is that, regardless of whether or not you remove it, rust can reduce the recycling value of a metal item. For this reason, it’s wise to try to prevent rust from forming in the first place. If you have outdoor metal materials that you think you might recycle someday, you might want to think about coating them. By applying an anti-corrosion coating your trampolines, fences, and other metal materials, you help them to stave off rust in the long run. If you have metal objects that are only slightly rusted, you can usually rid remove the rust in just a short amount of time. 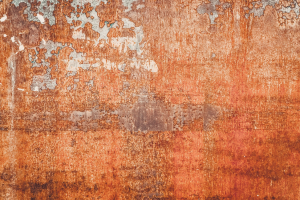 There are a number of substances that can be used to remove rust from metal. In most cases, however, it’s easiest to try to remove rust with a sander or grinder. After rust has been removed, you can either reuse the object for another purpose, or you can sell it to a metal recycling company. If you have heavily-rusted items on your hands, and if you’re looking to recycle them, your best bet would be to sell them to a metal recycling company in Chicago. After rust is already caked on object, it’s almost impossible to remove entirely. However, a metal recycling company will be able to melt down your rusted metal objects, separating their usable parts so that they can be used for new purposes. Looking for a Metal Recycling Company in Chicago? Do you have any heavily-rusted metal items that you’re looking to get rid of? In search of a metal recycling company in Chicago or its surrounding suburbs? If so, Central Metal Recycling in Chicago is the company to see. Our team of seasoned recycling specialists is well-versed in the handling of rusted metal materials. We will help you with the materials you wish to dispose of, and ensure that they’re handled in a professional and environmentally-friendly manner.